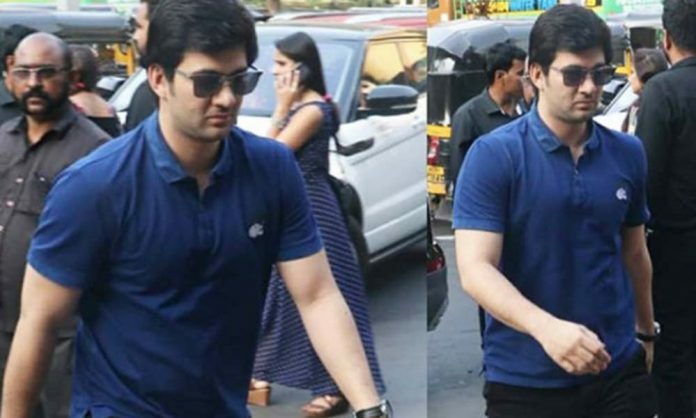 Sunny Deol’s son, Karan Deol was recently spotted chilling in the city. The young lad is all set to venture in Bollywood soon. His debut film Pal Pal Dil Ke Paas directed by father Sunny Deol is all set to be wrapped up after another schedule slated to go on floor in Mumbai in January. Along with Karan, debutant Saher Bamba, a Shimla girl who was studying in Mumbai when she auditioned for the role will be seen in the film. Karan usually shies away from the cameras, but today it was different as he smile at the papz. His fresh glimpses remind us of Sunny’s younger days. Looks like, another talent all set to shine soon. Next articleJP Dutta Ready To Start Shooting Of His Next Film?